Interested in philosophy and religion? 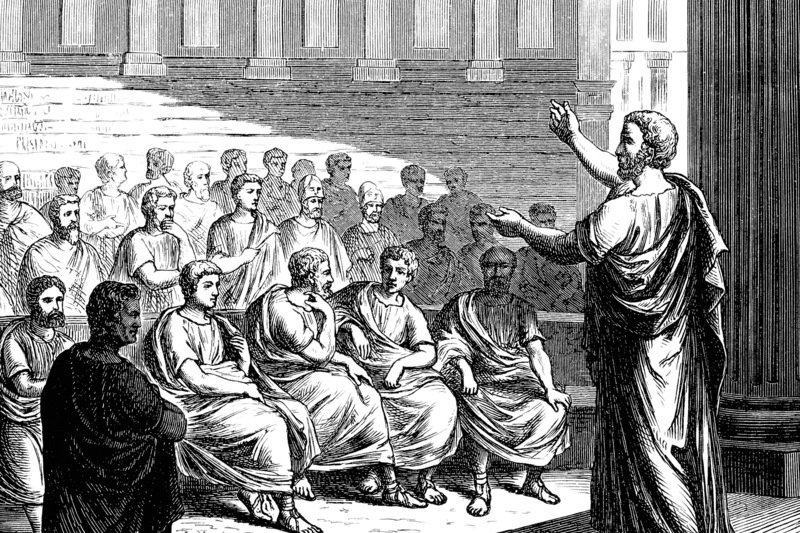 Here are three philosophy (PHIL) classes offered at Kellogg Community College during the Fall 2018 semester. Philosophy is the rational study of the ultimate questions of human existence. These topics will be investigated: What is reality? Does God exist? What is a person? What is consciousness or mind? What is knowledge? What moral, political and educational ideals should we seek? What roles should religion, science and art have in our lives? Special emphasis will be made to explore how a selected group of great philosophers of different cultures of the past, as well as modern times, have attempted to answer those questions. Ethics is the philosophic study of moral values. These questions will be explored: What makes actions right or wrong? Can moral beliefs or values be proven or evaluated? What values of life should we strive for? Should we blame or punish people for their actions? Can rights be defined or justified? Is individual liberty more important than collective authority or societal needs? Practical applications to medicine, law, business and world affairs will be made. Students will develop an understanding of the basic tenets of major theistic systems, such as Hinduism, Buddhism, Taoism, Judaism, Islam and Christianity. Students will explore how they approach these philosophic subjects: systematic consistency, the nature of deity, the response to atheism, the role of religious experience, ethics, the problem of evil, the relationship between faith and reason, and others. Students will critically examine and compare many distinct world views in their analysis. The first Fall 2018 classes start Aug. 30, and the semester ends Dec 17. For information about signing up for fall classes, visit www.kellogg.edu/registration. For more information about studying philosophy and religion at KCC, visit www.kellogg.edu/philosophy.